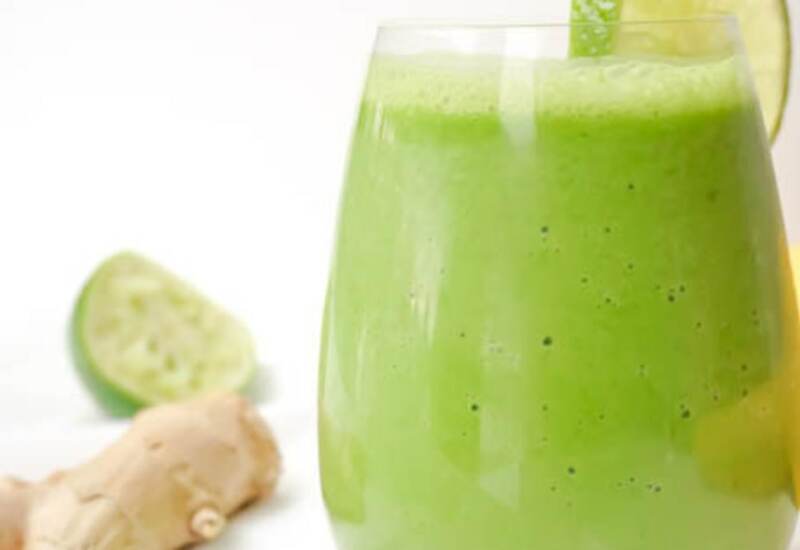 A little cayenne pepper and a lot of fresh ginger give your morning green smoothie a bit of a punch in this recipe. Cucumber, lime, avocado, and spinach give it a fresh green color that will wake you up in the morning. Or pour your smoothie into a mason jar, cover, and refrigerate for an afternoon pick-me-up. Just give it a shake and you are ready to go! Try adding a little bit of parsley for an even fresher flavor. Start with 1 tablespoon of chopped fresh parsley and add more to taste. A small amount of fresh or frozen pineapple or mango will add a little bit of sweetness. You can add flax meal, hemp seed, or chia seeds to this smoothie too for a little extra protein and fiber. The options really are endless! Per Serving: 89 calories; 6g fat; 8.9g carbohydrates; 2g protein; 0mg cholesterol; 32mg sodium. Really good smoothie recipe. I'm trying to lose weight and my friend recommended I try this. I think it's definitely helping and it makes feel energized. Perfect detox smoothie with a kick! Next time I may add a little pear, but overall I loved the way this smoothie came out. It was very creamy and flavorful. I’ve done a ton of spicy detox smoothies and this one by far is the most palatable. The avocado really helps. Going to add this one to my rotation. Also, it tastes much better chilled so usually sit it in my fridge until I’m ready to drink it.